Product prices and availability are accurate as of 2019-04-08 06:21:13 EDT and are subject to change. Any price and availability information displayed on http://www.amazon.com/ at the time of purchase will apply to the purchase of this product. 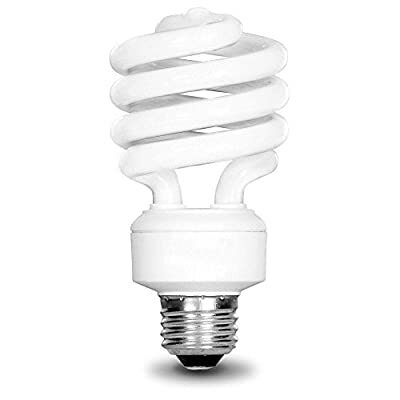 The EcoSmart 19-Watt (75W) Daylight household CFL Light Bulbs (2-Pack) are Energy Star qualified, which means they will save you energy and money. The light bulbs last up to 10,000 hours and start quickly for convenience. These energy saving bulbs last up to 9.1 years on average with 3 hours use a day. These bulbs are not dimmable and should not be operated on dimmer switches or dusk to dawn fixtures..